Knowledge management is an approach or process which is focused on the effective management of information and knowledge in any organisation and helps in achieving most efficient results in the organisation. Every organisation is focuses on different aspects to improve its activities and performance by developing and effectively using organisational knowledge. Knowledge management process is a tool for capturing and developing all the essential organisational knowledge which is important and leads to improved performance. Large organisations uses and adopted this knowledge management process and including it with the strategic management, information technology management and human resource management to make these processes more effective and achieve better results. This report will define various aspects related to knowledge management solutions in organisation. Detailed study of an organisation will be done in this report based on its knowledge management approach and applications. In this we will take an organisation for example to understand its process of knowledge management and all the other aspects which are important in adopting effective knowledge management system with the business strategy of the company. Capgemini is a multinational management company which is providing its consultancy, technology and outsourcing services to different countries around the globe and is working on a wide range. This company is one of the largest consultancy and accounting firms in the world having its competitors like Ernest & young and KPMG. Company has employed 180000 employees in more than 40 countries around the globe. Company is adopted knowledge management in its business strategies to effectively manage human resource in the company and improve the quality and quantity of productivity of the company. This following report is detailed study of knowledge management infrastructure, different technologies using by the company for knowledge management, knowledge management system and its impact on different aspects of a company which are important for the company’s growth. Knowledge management is the process of controlling and leveraging of different information assets in an organisation which is not stored and record in the books of company and are important for the company and its growth. Knowledge management solution helps in managing different human resource and other information to reduce the chances of information loss and any uncertainty due to high ratio of staff turnover. The knowledge management solution and infrastructure of Capgemini can be effectively understood by understanding the infrastructure of the company (Academy & Industry Research Collaboration Center 2011). Capgemini is the leading consulting and accounting company of thee world which is providing quality services to its clients. The culture of the company is focused on providing positive environment in which knowledge management system can be developed effectively. The company have adopted the diversified approach in which there are recruited employees with different skills and talents from different background, values and beliefs. This diversifies culture of the company provides strategic advantage of different opportunities which can be utilised by the company to effective running. Performance and its quality are improved with the diversified employees who provide creativity in company’s activities. For Capgemini human resource and its information are treated as information assets which are important for effective running or organisation and protect the company’s information assets from staff turnover and other losses. The culture defines performance based management (Academy & Industry Research Collaboration Center 2011). Communication and employee engagement, management of their career by providing different trainings and ensuring their health and safety by providing effective environment. Capgemini is working across the world and providing different services to its customers. Company is having hug number of employees working and making their efforts in achieving organisational goals and objectives. The organisational structure provides a framework to the company and its employees to achieve goals and objectives in a better way. Communication channel in which information flows in the organisation it is also important for the determination of authorities and responsibilities in the company which is effective manner to define role of employees in the organisation. In the knowledge management infrastructure organisational structure plays important role and helps in making this system more effective. By making clear the powers and authorities of employees in the company their access to the information of organisation is also diversified and made clear which helps in reducing the chances of any misconduct in organisation (Doval, 2015). Company prefers working in groups and for that it is using matrix structure of organisation which is also effective for knowledge management solutions. Capgemini is a multinational company and having complex activities which are should be managed appropriately. For the purpose to manage all the complex working of thee company it is important to have advanced and effective information technologies in the company which can support the knowledge management system effectively in the company. There are using various technologies in the company to make effective the company’s flow of information and leading employee’s efforts in the right direction. In the process of knowledge management information technology plays important role as in it makes collaborations between different employees in the company and collect their information and knowledge which can be reused by the company to effectively utilize it (Doval, 2015). Capgemini is using ERP system and different accounting software and Techno Vision 2014 and Collaborative Business Experience are some technologies which are adopted in the activities of the company for effective knowledge management. Physical environment defines the level of the integration level within the organisation and makes impact on the knowledge management process of the company. For creating effective physical environment company has adopted Accelerated Solutions Environment (ASE) which is a modern approach to maintain effective environment in the company. While doing any business various problems take place which are related to the stakeholders which are important for effective running of business. These conflicts can be arising due to cultural changes and other diversifications in the company. For resolving this problem ASE is adopted by the company which helps in bringing together the right people with the right content and it also increases the collaboration in functional areas of the company and its working. This environment helps in effective knowledge management system in the company (Chang, et. Al 2015). Capgemini is providing its services more than 40 countries around the globe and employed more than 180000 employees which is a huge number and there is also required effective management of these employees and collaborating them to the company by various manners. Knowledge management is an effective approach for reducing cultural and environmental conflicts and increasing level of involvement in the company with its human resource. Capgemini is using various technologies for effective knowledge management solution (Cheng, et. Al 2014). For effective and sophisticated knowledge management it is required to adopt most effective technologies which are as follows. Enterprise 2.0 knowledge management- This is modern and effective approach or technology towards the knowledge management. This approach covers that part of organisation which is ignored which is people in the organisation. People or human resource plays important role in the effective working of any organisation and there must be effective collaboration between organisation and people or human resource of the company. Capgemini is adopted Enterprise 2.0 knowledge management technique to effectively manage the knowledge and information of the company which can make positive impact on the organisational growth. This technology focuses on the content management through the management of people in the company and spread awareness of knowledge management by making it easy to adopt the KM in any business effectively (Cheng, et. Al 2014). This technology is based on the collaboration of organisation with the people through social media which is becoming a platform for distributing and providing the right information to the right people at the right time and this is a sign of effective knowledge management. Capgemini is now able to share its information and can check their reviews by tags, shares, posts and likes and dislikes. Different ratings are also playing important role in defining the effectiveness of any organisation. This is helping in management of knowledge and collaborating with the global clients who are from different places of world and it becomes easy to make them feel valued and aligned with the organisation. Accelerated Solution Environment (ASE) - Every organisation is having a physical environment which includes its key stockpersons from different fields and different channels that plays important role in the effective execution of the activities of the company. There emerges different problems and complexity due to different cultural changes and diversities arises in the organisation and this can be a challenge for the business and it growth. Accelerated solution environment is helps in bringing the right people to the right content and this is essential for effective knowledge management. This technology or method uses different processes and ways for increase the collaboration between the organisation and its people which is beneficial in case of any changes and transformation in the organisation. This technology is basically for implementing the new changes in any business but it also helps in effective knowledge management which provides content and quality to the organisation (Akhavan, et. Al 2013). Capgemini is a consultancy company which is outsourcing its services to different clients from different countries and there for it is very important for the company to adopt knowledge management system which can support the organisational activities and can increase the collaboration between people and organisation by providing right content to the right people. Knowledge management system is defined as the integration of different technologies and various methods which are important for the effective and efficient execution of process of knowledge management. Every organisation works on the basis of different knowledge and information which are arrived from various methods and knowledge management system is based on those. There are four categories of knowledge management system which are as follows. Knowledge Discovery Systems- Knowledge is developed from various data and information from prior knowledge which supports the knowledge management process. This development is conducted from previous tacit and explicit knowledge which is developed and experimented to discover the new knowledge (Akhavan, et. Al 2013). Knowledge Capture Systems- This type of information is derived from different sources and are collected from various entities, experts, suppliers and prior employees of the company and can be expended outside of the organisation’s boundaries. This type of knowledge system is adopted by most of the organisation. 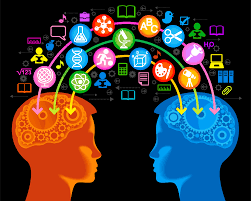 Knowledge Sharing Systems- This type of knowledge system is considering transfer of knowledge through effective communication with different people in the organisation and also important from the point of view of process of knowledge management as in it helps in increasing collaboration. Knowledge Application Systems- This knowledge system is application of knowledge discovers and possessed by others. The knowledge is used without acquiring and learning it in effective manner and this is kind of secondary source of knowledge and plays important role in the process of knowledge management. Capgemini is using the knowledge discovery and capture system effectively in its process of knowledge management which is supporting organisational activities of the company. the company is providing its services to different clients all around the globe in which there are required different knowledge and information which can be developed and discovered in the organisation by using prior tacit and explicit data and information which is discovered by someone else and in accordance with the knowledge discovery system. It is a consultancy company which is required to have knowledge about different things so that it can provide correct and most effective knowledge to its clients and there for it have to take help from the experts, specialists, employees and prior employees of the company and they can also expand their reach outside the organisational boundaries for capturing knowledge under the knowledge capturing system which helps the process of knowledge management (Sangari, et. Al 2015). The impact of knowledge management solutions on: people, processes, products and organization performance. The process of knowledge management is important and plays vital role in the effective running of the activities of any organisation. Capgemini is a leading consultancy, technology firm in the world and also focuses on the adoption and implementation of effective knowledge management in its activities. This process integrates innovative process, tools and solutions which are ensuring the cost effectiveness and effectiveness of this process. The knowledge management solutions of the Capgemini provides customer collaboration and integration, effective human resource and supplier relationships and other benefits to the organisation as in these are important for the growth of the company in a effective manner (Mishra, et. Al 2011). Knowledge management can make impact on people in organisation in various manner as in it can help in them in increasing their knowledge and learning, and can make them more flexible that they can easily adopt any environment. Employees can also generate job satisfaction which can lead in increased employee satisfaction and loyalty for the organisation. People are diversified in the following manner. 1. Employees can increase their productivity by effectively reusing the knowledge provided from the KM process. 2. Cross company collaboration also helps in improving and enhancing the organisational culture. 3. These solutions provides effective learning and training programme which helps in internal recruitments. 4. This solution makes it possible to adopt the changes in the organisation as in there comes flexibility in the employee’s behaviour. 1. By effective KM solution it there comes more effective services provided to the customer of company which helps and supports organisational growth. 2. Increase in the quantity of the customers of company in the existing market and also in the existing market which is sign of increase in the profitability. 3. It becomes easy to collaborate with the customers and also increases the level of interactions and feedbacks are considered for the product development of the company. 1. Increase in the integration and collaboration with the suppliers of the company. 2. Effective networks are building with the experts making impact on the organisational performance. 3. This collaboration helps in lowering the purchasing cost which increases the profitability. Effectiveness and efficiency of the process- Effectiveness can be defined as making the most appropriate decision of process among different available options by analysing them and evaluate the. Efficiency in process is defined as implementing that selected process in the best suitable manner to achieve low cost and time. Knowledge management is making it possible by supporting all these things. Innovation of the process- In the organisational process innovation can be included by execution of the selected process in a creative and most appropriate manner and which can lead in the direction of achieving power of intellectual capital. With the impact of the knowledge management there is also improvement in the quality of the product as in there is added value in the products of organisation as in there are offered different new and improved products which is influenced by the innovative and improved business process. There are improvement in the knowledge based products like different accounting and information software which can help the customers and users in a better manner. All the above impacts on people, process, and product ultimately make impact on the performance of the organisation. This process of knowledge management ultimately improved performance of organisation by achieving economies of scale by the increased production and decreased cost due to effective and innovative process and products. Sustainable competitive advantage is also achieved in the organisation by achieving the economies of scale and economies of scope. This competitive advantage makes it possible to achieve the position of leader among the competitors of the company. 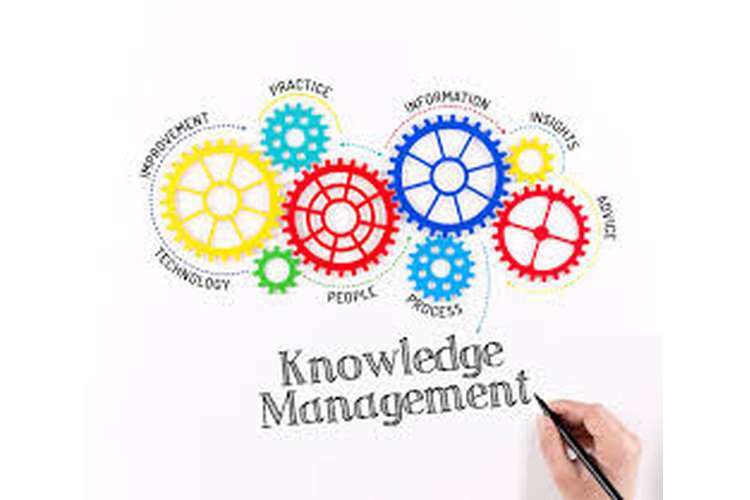 Knowledge management solutions supports the process of knowledge management which is adopted by companies for increasing content in the performance of the company and also increasing level of collaboration and integration in the organisational activities. Capgemini is provider of consultancy and technology and outsourcing in more than 40 countries in the world and employed more than 180000 employees who are involved in the organisational activities. It is important for this company to adopt knowledge management process in its business strategies and strategic management which will ultimately make its impact on the overall performance of the company. Knowledge management solutions helps in effective knowledge management by using different tools and techniques which are making impact on the people, process, product and organisational performance in positive manner. The analysis of these solutions is diversified in the following parts (Tubigi, et. Al 2015). Solutions/initiatives that went right- There are different initiatives taken like groupware, workflow, content document management, eLearning, enterprise 2.0 known as social media and ASE. All these initiatives are proved as profitable and beneficial for the organisation in different manner. Solutions/initiatives that failed and why- There are also some solutions which are failed and proved as ineffective in various aspects because of different reasons. There are initiatives like storytelling which is traditional and proved as ineffective in the process of knowledge management. Improvement- There should be some improvements in these initiatives of knowledge management. There should be effective management of information of clients as in to improve the confidentiality and protection of their information. There should be integration of knowledge management in the business strategy which will help in achieving customer loyalty (Jimenez-Jimenez, et. Al 2012). This report is a detailed study of different aspects of knowledge management and its importance in effective running of any organisation. Capgemini a consultancy and technology outsourcing company is taken for the detailed study of different factors of knowledge management which is integration of different tools, techniques and solutions. We have discussed the impact of these solutions on various activities of company and also effective evaluation is also done in this report. Akhavan, P., Ramezan, M. & Yazdi Moghaddam, J. 2013, "Examining the role of ethics in knowledge management process: Case study: an industrial organization", Journal of Knowledge-based Innovation in China, vol. 5, no. 2, pp. 129-145. Chang, C.L. & Lin, T. 2015, "The role of organizational culture in the knowledge management process", Journal of Knowledge Management, vol. 19, no. 3, pp. 433-455. Cheng, C., Ou, T., Chen, T. & Chen, Y. 2014, "Transferring cognitive apprenticeship to manufacturing process knowledge management system", VINE, vol. 44, no. 3, pp. 420-444. Doval, E. 2015, "A FRAMEWORK FOR KNOWLEDGE MANAGEMENT PROCESS",Geopolitics, History and International Relations, vol. 7, no. 2, pp. 207. Jimenez-Jimenez, D. & Sanz-Valle, R. 2012;2013;, "Studying the effect of HRM practices on the knowledge management process", Personnel Review, vol. 42, no. 1, pp. 28-49. Lee, C.S. & Wong, K.Y. 2016, "Evaluating Knowledge Management Processes: A Fuzzy Logic Approach", Lecture Notes in Engineering and Computer Science, vol. 2222, no. 1, pp. 756-760. Mishra, B. & Uday Bhaskar, A. 2011, "Knowledge management process in two learning organisations", Journal of Knowledge Management, vol. 15, no. 2, pp. 344-359. Sangari, M.S., Hosnavi, R. & Zahedi, M.R. 2015, "The impact of knowledge management processes on supply chain performance: An empirical study", The International Journal of Logistics Management, vol. 26, no. 3, pp. 603-626. Tubigi, M. & Alshawi, S. 2015, "The impact of knowledge management processes on organisational performance", Journal of Enterprise Information Management, vol. 28, no. 2, pp. 167-185.